The place is in Insa-dong and easy to find. Owner is hospitable and kind. She help us to wear the traditional hanbok and bandana for free. Thankyou! 這個地方很容易找到，在insadong街附近。韓服都很漂亮，不要擔心沒有你的尺碼，因為他們可以購買各種尺寸。從這個出租店到宮殿和韓屋村相當遠，因此租用4個小時實際上是不夠的。如果你想拍很多照片或想在宮殿的每一寸區域閒逛，你可能需要更多的時間。其他選擇是在韓屋村租用您的韓服，因為它離您更近，而且您不會浪費時間散步。總的來說還可以，我給4星級，因為唯一缺乏的是我們受到工作人員的激動歡迎，但當我們說我們正在使用klook時，工作人員有點面子而不高興。此外，她沒有提供任何配件，配件不包括袋子。當我們問起時，她說我們需要另外支付2萬韓元。 The place is easy to find, around insadong street. 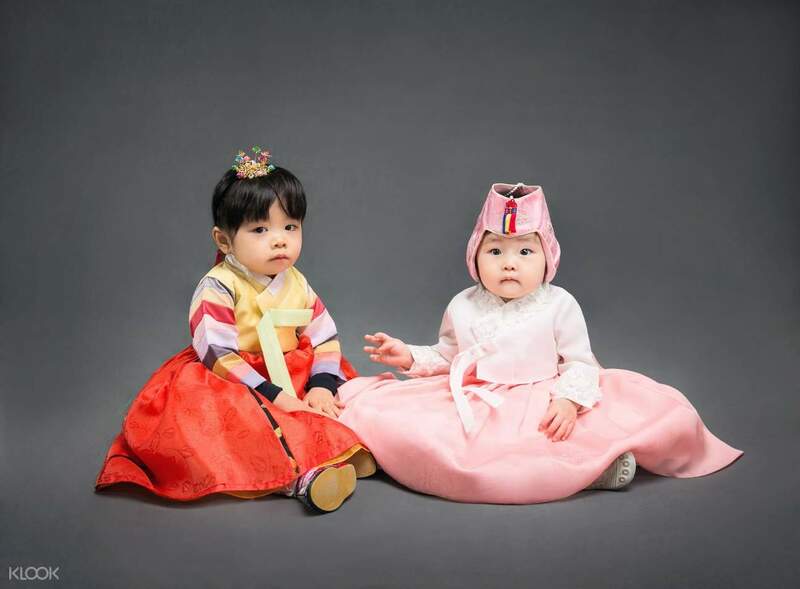 The hanbok are all very pretty, don’t worry about not having your size because they can carter to all sizes. 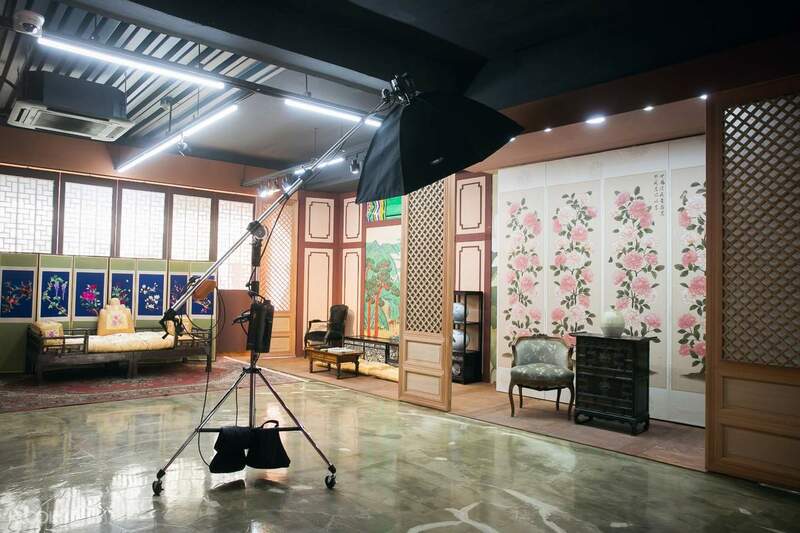 From this rental shop to the palace and hanok village is quite far thus renting for 4 hours is actually not enough. If you’re thinking of taking a lot of pictures or wanted to stroll around every inch sections of the palace, you might need a lot more hours. Other option is to rent your hanbok at the hanok village because it is nearer and you’re not wasting time walking . Overall is ok, i give 4 stars because the only lacking was we were greeted excitedly by the staff but when we said we’re using klook, the staff kinda make faces and not happy about it. Also, she didn’t offer us any accessories & the accessories doesn’t include the bag. When we asked, she said we need to pay another KRW 2k for it. 享受這項活動，因為我們能夠嘗試韓國民族服裝。工作人員非常樂於助人。宮殿的入口是免費的，因為我們穿著很好的韓服。 Enjoyed this activity as we were able to try Koreans national costume. Staff were very accommodating. Entrance to the palace were free because we were wearing Hanbok which is good. 很棒的服務。但對我們來說，距離景福宮有點遠。距離Hanbook工作室約15-20分鐘。 Great service. But for us, the location a bit far from Gyeongbukgong Palace. Around 15-20minutes from Hanbook studio. 這個地方在仁寺洞很容易找到。老闆熱情好客。她幫我們免費穿上傳統的韓服和頭巾。謝謝！ The place is in Insa-dong and easy to find. Owner is hospitable and kind. 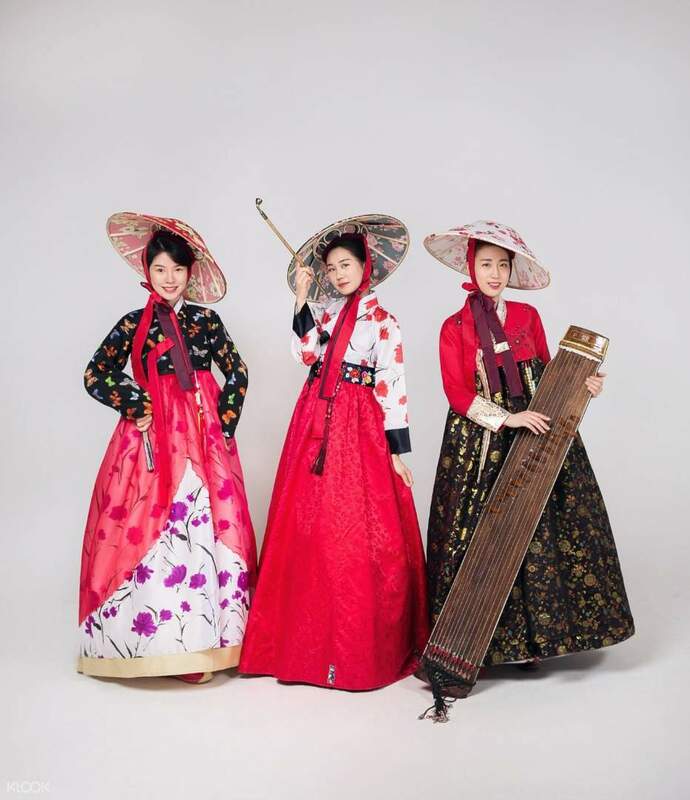 She help us to wear the traditional hanbok and bandana for free. Thankyou! 這是一個很好的經歷，但這座宮殿離宮殿有點遠。你可以在宮殿附近找到很多韓服租賃。我們也拍攝了照片，但現在已經有一個多星期了，我們還沒有收到我們電子郵件中的照片。嘗試通過電子郵件發送兩次但沒有回复。 It was a good experience but this palace is a bit far to the palace. 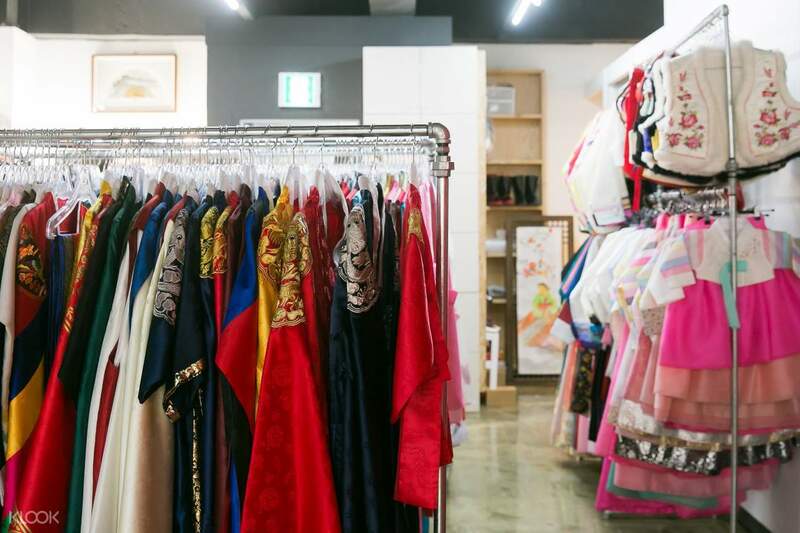 you can find a lot of hanbok rental near the palace. We also availed for the photoshoot however it has been more than a week now and we still havent received the photos in our email. tried emailing them twice however no response. 很難找到。這個行動在不知名的地方。絕對不是hanok / bukchon村5分鐘。需要登上巴士n從那裡步行。 Very hard to find. The lo action is in the middle of nowhere. Definitely not 5 mins from hanok/bukchon village. Need to board bus n walk from there. 感謝您選擇Klook並花時間給我們留下評論。我們很遺憾聽到您很難找到正確的地方。我們一定會解決這個問題，並通知產品經理這個問題並進一步改進。非常感謝您的理解。 Thank you for choosing Klook and taking time to leave us with a review. We are very sorry to hear that you had a hard time in finding the correct place. We will surely address this matter and notify the product manager about this issue and for further improvement. Your understanding will be much appreciated. 我們無法兌換優惠券。商店很難找到，甚至沒有提供圖片來輕鬆找到商店。 We're unable to redeem the voucher. The store was hard to find, no pictures even provided to easily locate the store. 感謝您選擇Klook並花時間給我們留下評論。我們很遺憾聽到您很難找到正確的地方。我們一定會解決此問題並通知產品經理此問題。請注意，由於某些活動在預訂後無法取消/修改。非常感謝您的理解和耐心。 Thank you for choosing Klook and taking time to leave us with a review. We are very sorry to hear that you had a hard time in finding the correct place. We will surely address this matter and notify the product manager about this issue. Kindly be also advised that as some activities cannot be canceled/amended once booked. Your understanding and patience is greatly appreciated.